HyperSciences, Inc. is offering securities through the use of an Offering Statement that has been qualified by the Securities and Exchange Commission under Tier II of Regulation A. A copy of the Final Offering Circular that forms a part of the Offering Statement may be obtained both here and below. The contents of the Highlights, Term Sheet sections have been prepared by SI Securities, LLC and shall be deemed broker-dealer communications subject to FINRA Rule 2210 (the “Excluded Sections”). With the exception of the Excluded Sections noted above, this profile contains offering materials prepared solely by HyperSciences, Inc. without the assistance of SI Securities, and not subject to FINRA Rule 2210 (the “Issuer Profile”). The Issuer Profile may contain forward-looking statements and information relating to, among other things, the company, its business plan and strategy, and its industry. These statements reflect management’s current views with respect to future events based on information currently available and are subject to risks and uncertainties that could cause the company’s actual results to differ materially. Investors are cautioned not to place undue reliance on these forward-looking statements as they are meant for illustrative purposes and they do not represent guarantees of future results, levels of activity, performance, or achievements, all of which cannot be made. Moreover, no person nor any other person or entity assumes responsibility for the accuracy and completeness of forward-looking statements, and is under no duty to update any such statements to conform them to actual results. Using hypervelocity technologies, we are creating better solutions for tunneling, energy, and transportation. HyperSciences is a technology company that has created an innovative hypervelocity propulsion system for major industries such as fast tunneling, energy drilling, and aerospace. We believe we have developed one of the world's fastest simplest, and cheapest commercial projectile launch system, which can robotically accelerate objects at velocities greater than Mach 5 speeds. We have already created a portfolio of patented and patent-pending hypervelocity technologies to solve some of the most challenging problems in energy, terrestrial transportation, and materials production. Each major industry we plan to tackle (tunneling, energy drilling, and aerospace) is ripe for a revolutionary change in efficiency and economics. We believe our precision robotic accelerators that utilize Artificial Intelligence are the answer. We first applied this disruptive solution to drilling with our HyperCore technology. HyperCore uses low-cost chemical energy to robotically load and then accelerate projectiles to hypersonic velocities, allowing projectiles upon impact to break and pulverize hard rock faster, deeper, and through a wider range of conditions. 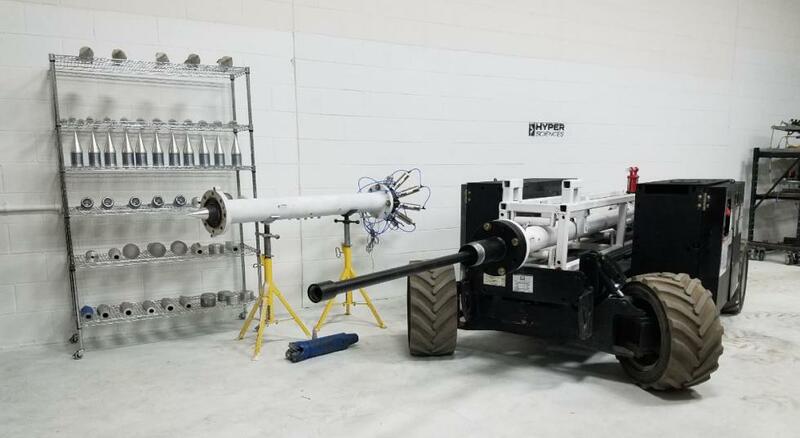 HyperSciences is commercializing its robotic HyperCore tools for HyperDrill which is designed to allow low-cost access to deep energy, including both conventional oil and gas use as well as our "Energy Anywhere" geothermal system power generation. Our technology is designed to drive projectiles through tough environmental conditions to quickly and efficiently reach untapped geothermal resources. By reaching these deep geothermal deposits in the earth, we will be able to conduct this heat energy towards the surface and convert it into electrical energy. This electrical energy, once generated back to the main power grid in the scale of Megawatts, we think will be a significant paradigm change in renewable, clean energy. We are using this same technology to create the Hyper Tunneling Boring and Mining system (HTBM). This system replaces two conventional tunneling methods, the first involves drilling and then using explosives to remove material, the second involves rotary tunneling which typically is slow and cost tens of millions of dollars per machine. Finally, as a platform technology development company, HyperSciences has been able to take the key components of HyperCore, namely the automated launch system and acceleration method, to launch objects to high-altitudes (up to 100km in height, which is almost 10 times the altitude that commercial jets fly, and on the boundary line to space). We are developing this into our HyperDrone product which we believe will be game-changing for USA government contracts in the aerospace community, such as the Department of Defense and NASA . HyperCore 100 is the 100mm (4") inner tube bore diameter version of the HyperCore system, which can be employed by customers in many different ways, including vertical or horizontal integration into existing equipment to enable rapid and efficient energy deposition for their projects. Hyper Tunneling and Mining system (HTBM) is our robotic mining and tunneling solution that uses continuous hypervelocity repetitive projectile impacts in a way that we believe drastically improves performance (speed), eliminates dangerous explosives, and reduces high capital and operating costs over traditional rotary tunneling boring machines (TBMs) and drill and blast methods. This version of HyperCore will have some ancillary equipment specifically developed for underground tunneling and mining, including robotic steering and acoustic damping. HyperDrill is a downhole energy drilling solution that is compatible with existing drilling systems, and we think can improve performance and reduce cost. Energy Anywhere Geothermal leverages our high-speed drilling and patent-pending scalable direct thermoelectric power generation technologies to provide a cost-effective solution for power plants in the scale of Megawatts. We believe that each plant can be scaled to power major cities. HyperDrone is a land or sea-based high altitude payload launch service designed for communication, earth observation, and hypersonic propulsion testing markets. Each projectile is designed for on-demand, rapid, and potentially stealth deployment of a payload. Our target customers will be focused on USA government contracts, such as NASA and other government agencies. Our tunneling/mining and drilling systems based on HyperCore can be leased to our clients as an "Equipment as a Service" (EaaS) model. Typically, traditional rotational tunneling machines can cost tens of millions of dollars, but we are uniquely positioned to offer consumables performance based "ink/printer" or "razor/razor-blade" business model to the industry based on kinetic energy deposition to break rock instead of rotational energy as the primary method for rock breaking. Our contracts that combine the base lease of a HyperCore unit plus a fixed number of projectiles are modeled to start at approximately an aggregate of $150,000-$200,000 per unit per year, which includes thousands of projectiles for the first 2 years and moves to a fixed cost per 1,000 projectile basis after an initial period. Basic operational training services would be included in such contracts. This approach can change the economics of major established industries and the barrier to entry for established industries transitioning to a new technology. Because our drilling and rock breaking process is robotic, the equipment is quicker and more agile for size constrained areas. With this EaaS business model, our leased HyperCore units during tunneling/mining and drilling operation launch our proprietary consumable projectiles every few moments. The HyperSciences proprietary projectiles, which are required for the system to operate, will be bulk-purchased from HyperSciences by our customers beyond the amount included with the lease contract. For example, a typical 1,000 foot hole will require nearly 2,500-5,000 projectiles, which may have a direct cost to our customer of approximately $5-$12 per shot. This includes the projectiles and propellant costs depending on the application and location of operations and cost of propellants. Our economic model estimates by the end of year 2 having 100 HyperCore units in the field and adding approximately 100 units per year in each of the following years with each unit being utilized annually at 30% given a 12-hour day in the hard rock industry firing approximately 2 projectiles per minute. HyperSciences intends to prove that its proprietary technology will allow for the economical generation of energy via geothermal installations nearly anywhere on Earth - Geothermal Anywhere. We are pursuing partnerships with key industry leaders — Department of Energy (DoE) and ARPA — for paid research projects and are targeting a deep energy drilling joint-project (with Shell, Halliburton, BP, Schlumberger, etc.). At the point of successful field trials, we believe the geothermal plant systems will have been matured, and that complete systems will be ready for operations. We are estimating first plant installations in seven megawatt increments starting in year 3 (2021) after full funding. The revenue model estimates an average of $3,000,000 per megawatt installation cost using our HyperDrill system and our TEG Thermo-Electric Generator surface plant. We expect to be part-owner of initial installations and model in a cost-share for the installation costs at 10% ($300,000 per megawatt installed or $2,100,000 per install from HyperSciences as a partner and thus capture 10% royalty ($.0065/kw) of the ongoing estimated $.065/ KWhr revenue of the plant over its life. Starting in Year 3, we grow to approximately 2-3 monthly seven megawatt unit new installations for drilling, well completions and plants installations as minority owners or royalty holders. Our geothermal cash flow model rolls in our initial cash flow predictions of HyperCore sales from Years 1-3. The Geothermal opportunity overlayed with the HyperCore business model predicts a substantial cash flow opportunities from these revenues. HyperVelocity Launch: With HyperSciences' aerospace application projects such as HyperDrone, we understand that our clients will require specific payload constraints such as desired altitude, mass, diameter, launch profile, etc. For these unique clients, we will provide each payload launch using fixed-price contract structure. Disclaimer: HyperCore is ready to deploy pending minor updates on automation. HyperDrone, HyperDrill, and HTBM are currently in development. HyperSciences is led by successful businessman and aerospace engineer, Mark Russell (Blue Origin, Boeing). Our team is comprised of engineers, geologists, and tunneling project developers who are well poised to deploy commercial solutions to our customers and partners. The graph below illustrates the valuation cap or the pre-money valuation of HyperSciences, Inc.'s prior rounds by year. The Corporation is reliant on the successful development of its own proprietary technology and products. The Corporation is in the process of developing its own proprietary technology and products. The success of developing new technology and products depends on a number of factors including, but not limited to, timely and successful product development, market acceptance, the Corporation’s ability to manage the risks associated with new product production ramp-up issues, and the risk that new products may have quality or other defects or deficiencies in the early stages of introduction. The development of methods for the use of HyperCore and other HyperSciences technologies is highly innovative and involves very complex processes. HyperSciences has successfully run its ram accelerator systems (100mm bore) up to 1250m/s (Mach 3.6). The University of Washington has successfully operated its smooth bore ram accelerator system up to 2900 m/s (Mach 8.5). HyperSciences has tested at contract gun test facilities (Southwest Research Institute - SWRI) at velocities up to 1950 m/s (Mach 5.9). HyperSciences plans to develop its commercial HyperCore systems to operate with projectiles at speeds that exceed its current demonstrated levels (>1250 m/s). This level of innovation involves potentially significant expense and carries inherent risk, including difficulties in designing next-generation technologies and processes, potential development and production delays, safety concerns, and increased expenses. Our inability to effectively and timely develop our proprietary technologies and products and to develop the necessary quality controls and production capacity for our technology and products would have a material adverse effect on our business. Some technologies are relatively new and unproven. Some of HyperSciences’ technologies and planned products are relatively new and unproven such that the use of these technologies could not produce the expected or intended results, and unforeseen results could occur. The Corporation relies on intellectual property rights it has licensed and additional intellectual property it has developed. The Corporation may be unable to protect its proprietary technologies or defend its intellectual property rights and may be subject to claims that its products or the way in which it conducts its business infringes the intellectual property rights of third parties. We believe that our success will depend in large part upon proprietary technologies and intellectual property protections. We intend to rely on a combination of patents, trademarks, trade secret laws and contractual obligations with employees and third parties to obtain and protect our proprietary technologies and intellectual property. The steps we have taken to protect our rights may not be adequate to deter misappropriation of our proprietary information. We also may not be able to detect unauthorized use of and take appropriate steps to enforce our intellectual property rights. In addition, the laws of some foreign countries may not protect our proprietary rights as fully or in the same manner as do the laws of the United States. Also, despite the steps taken by us to protect our proprietary rights, others may develop technologies similar or superior to our hypervelocity technologies and/or design around the proprietary rights we own. It is possible that our license agreements could be terminated, which could limit or prevent HyperSciences’ practice of some or all of the inventions identified in “Description of Company – Intellectual Property” at page 26. It is possible that our activities, products and services could infringe certain third-party intellectual property rights that we are currently unaware of, which could open HyperSciences up to potential civil liability. Any such claims could require us to spend significant sums in litigation, pay damages, develop non-infringing intellectual property or acquire licenses to the intellectual property which is the subject of the asserted infringement. If we are unable to successfully enforce our intellectual property rights, or if claims are successfully brought against us for infringing the intellectual property rights of others, such events could cause us to pay substantial damages, cause us to lose a key competitive advantage, force us to conduct additional research to develop non-infringing technology or cause us to have to pursue a different business strategy. Certain intellectual property rights of the Corporation may be abandoned or otherwise compromised if the Corporation does not obtain additional capital. 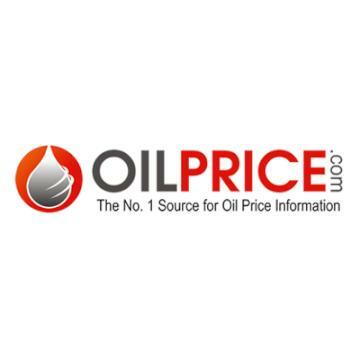 Certain uses of the Corporation’s product offerings may be subject to regulation by the Environmental Protection Agency and other federal and state governmental authorities. •	The effects, if any, that use of our products has on groundwater quality and availability. Some contemplated implementations of our technology may be subject to regulation by the United States Department of Commerce and Department of State. If future implementations of our technology require an export license or additional government approval for export, we intend to pursue such licenses and approvals from applicable government authorities. Existing license agreements impose restrictions and requirements that limit HyperSciences’ ability to exploit and commercialize its intellectual property. Each investor should fully read that certain Exclusive Patent License Agreement between HyperSciences and University of Washington dated March 13, 2015, (the “UW License Agreement”) which is included as Exhibit 6.6 to the Offering Statement of which this Offering Circular is a part, as well as the license agreements with EnergeticX.net, LLC (“EnergeticX”) dated May 19, 2015, which are included as Exhibit 6.7 and Exhibit 6.8 to the Offering Statement of which this Offering Circular is a part. The UW License Agreement only grants rights to HyperSciences in relation to activities and products under 100km MSL (the “Von Karmen Line” at 100km is utilized as one international definition of outer space). University of Washington (“UW”), pursuant to the UW License Agreement, may (1) terminate the license grant upon the occurrence of a breach by HyperSciences; (2) pursue patents covering the “baffle-tube ram accelerator technology” included in the UW License Agreement that would be owned by UW and outside the license grant to HyperSciences in any country in which HyperSciences chooses not to actively pursue patent protection for such inventions; and (3) require mandatory sublicensing in fields of use that Company is not actively pursuing if UW is solicited by a third party who wishes to license the “Licensed Patents”. HyperSciences also must comply with performance milestones relating to commercialization of the “Licensed Patents”, is required to submit periodic commercialization reports, and must pay certain annual, milestone and royalty fees to UW. UW also obtained 25,000 shares of common stock in HyperSciences and has certain anti-dilution rights as described in the section titled “Dilution”. HyperSciences and EnergeticX have entered into two separate license agreements dated May 19, 2015, granting to EnergeticX certain rights in specified patent assets owned by HyperSciences. EnergeticX has exclusive rights to the “Licensed Patents” for applications at or above 100km MSL (outer space). Additionally, in the event of certain events involving Mark Russell and the Company (as described briefly in the “Description of Business” section at page 28), EnergeticX would have a non-exclusive license to the “Licensed Patents” for the purpose of applications below 100km MSL. Mark Russell may have other time demands relating to EnergeticX and Pipeline2Space, Inc.
EnergeticX (and its majority-owned company, Pipeline2Space, Inc.) has entered into a license agreement with the University of Washington for the same patent assets as those covered in the HyperSciences UW License Agreement, but the EnergeticX license grants rights for applications above 100km MSL (i.e. spaceflight applications). In order to maintain its license with UW, EnergeticX must perform certain activities relating to commercialization of the technology (the “Required EnergeticX Activities”). The disinterested director of the Corporation has approved Mark Russell to be engaged in the Required EnergeticX Activities, which may limit the amount of time he devotes to the Corporation. New, well-funded competitors are entering market, which may adversely affect our business. Technology solutions and theories applicable to drilling, tunneling, mining and hypervelocity travel have recently seen increased media coverage. For instance, the Boring Company, which is owned by billionaire Elon Musk, has engaged in significant advertising efforts and may achieve commercial success. Elon Musk is a successful entrepreneur with a history of disrupting the online payment, automobile, and space launch markets. Future competitive technologies developed by The Boring Company and other companies such as Boeing or Lockheed could seriously harm our business and have a material adverse effect on our business, results of operations, and financial conditions. HyperSciences’ technology and business plans involve safety risks. Firing projectiles at such high velocities to break rocks involves a significant potential risk to the safety of humans and property. In the event of a system malfunction, or even in the course of the normal use of a ram accelerator, catastrophic events are possible. Therefore, risk of significant liability for HyperSciences is possible. In order to protect against such potential liability, HyperSciences has processes and safety systems engineered into its designs and also will likely continue to purchase liability insurance, which is and could be continually costly to the Company or may not be available. Insufficient insurance coverage or major catastrophic events could expose the Company to enough liability to negatively affect the Company’s business operations or could possibly render the Company insolvent. HyperSciences has not registered any Trademarks for the following brand names: HyperCore, HyperDrill, HyperDrone, Energy Anywhere Geothermal, and Hyper Tunnel Boring & Mining System. As a result, HyperSciences merely has what is known as “common law trademark” protection. A common law trademark merely gives the holder protection within the geographic location in which the trademark is used. In addition, the holder of a common law trademark must successfully demonstrate first use of the trademark within a given geographic location to receive protection. Any such common law trademark protection may be lost if not enforced. Further, a federally registered trademark may have protection over HyperSciences’ common law trademarks unless HyperSciences is able to demonstrate first use and that there is a likelihood of confusion, and if not, may lose the ability to utilize these brand names. HyperSciences is aware of two such federally registered trademarks for the HyperCore and HyperDrill brand names. There is a risk that the owners of these federally registered Trademarks, or any future ones, may file a complaint in court against HyperSciences alleging trademark infringement. Download HyperSciences, Inc.'s Offering Circular here. "The SEC has qualified this offering" means the SEC has permitted HyperSciences, Inc. to offer for sale the securities described in the Offering Circular to investors such as you. The SEC is not judging the merits, accuracy, or completeness of the offering and information in the Offering Circular. Rather, the SEC is merely ensuring HyperSciences, Inc. has met all legal disclosure and regulatory requirements necessary to make these securities available to you. Making an Investment in HyperSciences, Inc. When you complete your investment on SeedInvest, your money will be transferred to an escrow account where an independent escrow agent will watch over your investment until it is accepted by HyperSciences, Inc.. Once HyperSciences, Inc. accepts your investment, and certain regulatory procedures are completed, your money will be transferred from the escrow account to HyperSciences, Inc. in exchange for your securities. At that point, you will be a proud owner in HyperSciences, Inc.. Currently there is no market or liquidity for these securities. Right now HyperSciences, Inc. does not plan to list these securities on a national exchange or another secondary market. At some point HyperSciences, Inc. may choose to do so, but until then you should plan to hold your investment for a significant period of time before a “liquidation event” occurs. A “liquidation event” is when HyperSciences, Inc. either lists their securities on an exchange, is acquired, or goes bankrupt. This is HyperSciences, Inc.'s fundraising profile page, where you can find information that may be helpful for you to make an investment decision in their company. The information on this page includes the company overview, team bios, and the risks and disclosures related to this investment opportunity. You will also find a copy of the HyperSciences, Inc.'s Offering Circular, which has been qualified by the SEC. The Offering Circular includes important details about HyperSciences, Inc.'s fundraise that you should review before investing. This investment is highly speculative and should not be made by anyone who cannot afford to risk the entire investment amount. In addition to these risks, you should carefully consider the specific information and risks disclosed in HyperSciences, Inc.’s profile and Offering Circular.